Upon reading or hearing the word ‘platform’, most people will immediately think of a railway station or the raised area upon which a speaker stands. It is the latter concept that holds most relevance for this discussion. Though this is primarily aimed toward new, inexperienced, authors those already upon their author career path may find some of the content useful either, by way of reminders, or by the highlighting of some concept they had not considered previously. Important: Though similar principles may be applied to the format and formation of a platform EACH WILL, in essence, BE UNIQUE TO THE INDIVIDUAL AUTHOR. It would make the whole idea nonsensical if they are not. In addition author platform should not be confused with author brand. Building a platform takes time. There is no quick and easy substitute. Anywhere the author is able to gain public exposure and/or provide/share information about themselves as well as interact with their audience (readers; fans; followers; etc.). Naturally the above is not an exhaustive list. Neither do all the options mentioned have to be taken up. The intention is simply to provide some ideas for authors to get started. Undoubtedly, others will be able to provide additional options and ideas and are welcome to do so by means of a comment to this post. To be effective, it is best if authors build their platform in stages. This will enable them to concentrate upon the design and give them time to learn the ins and outs of each option as well as determine whether the component/site is for them. They should not feel under pressure to be everywhere immediately or in fact ever. The secret is to discover where they achieve the most effective communication with readers, fans, etc. Keeping in mind an author’s platform forms the basis of their public persona it is appropriate to consider the matter of consistency. In measure the following may be considered part of branding however, as already stated, author brand will be the subject of the next author related article to be published here. Nevertheless, it will help to consider some of the overall principles. Consistent voice. (Share and present information in a similar style across all related outlets. For example: In this website (T. R. Robinson Publications the aim of which is to primarily provide advice and guidance for authors and readers) information is intentionally provided in a formal style. 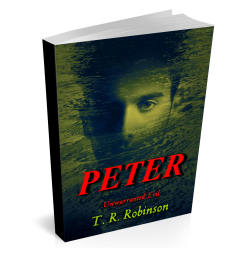 In author T. R. Robinson’s personal blog (T. R. Life Memoirs where more intimate, personal, information is shared) a more relaxed, first person, style is utilised. Of course, and yet again, the above is by no means an exhaustive list but it will help concentrate author’s minds upon some of the requirements for establishing an effective platform. It is important authors do not confuse the maintenance of a platform with the activities of marketing, promotion or publicity. Naturally, the platform may support these activities but should in no manner be viewed as a substitute. The platform is simply where: author’s share who they are; build connections; and help readers discover them. After that they need to take the reader; client; customer on a journey to purchasing their product (book). Once the elements and components required for a platform are understood, the building of one, provided it is taken in stages, is straightforward enough. One thing for sure: All authors really should develop their own ‘unique’ platform. Everyone is an individual with their own strengths and values and with something special to offer. How will readers know about these unless they are provided with easy access to the information? Remember: Branding, though it forms one element of a platform is in actual fact a separate matter that will be discussed in the next author related article. Thanks T.R. for putting all of that info into a clear concise manner. Glad you find it helpful Ernesto. Thank you for taking the time to say so.